It's been a little while since I looked at inspiration from the Queen B, purely because it felt weird. And alas, still doesn't seem real. If you don't know what I'm talking about click here. On Saturday night I went to a BBQ as it was in the evening and I had some time to kill, I pulled out my Hello Kitty Too Dolly palette and decided to play with some colour. Since I don't wear eyeshadow in summer as it just melts straight off, this wasn't bad going. 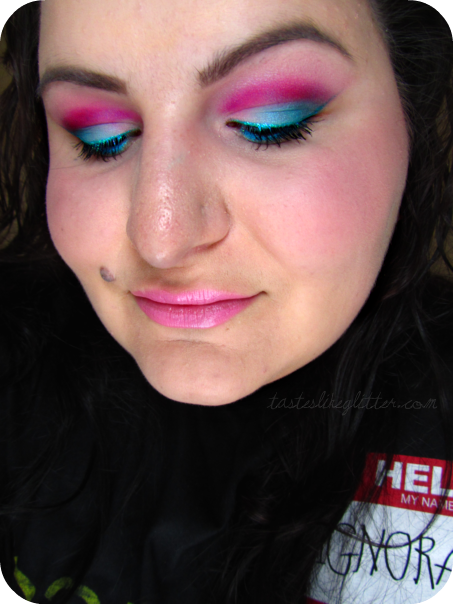 I started with teal on the lead and then decided to try pink in the crease. 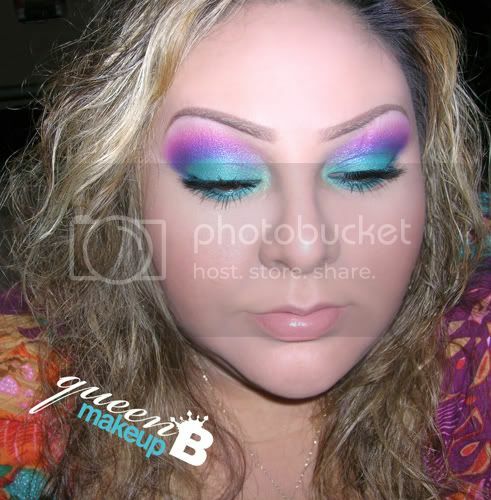 I rarely use pink as an eyeshadow but it started to turn into a look I've always loved and remembered from Ale's blog, Queen B Makeup. Although it's not exactly the same, I was going off memory (which is rubbish) but here's what I came up with. I didn't realise till sometime afterwards that I forgot to put concealer on! M.A.C Eyeshadow - Yogurt (inner corner, brow highlight), Too Dolly* (all over lid), Romping* (crease), Stately Black* (just a touch to darken outer V). 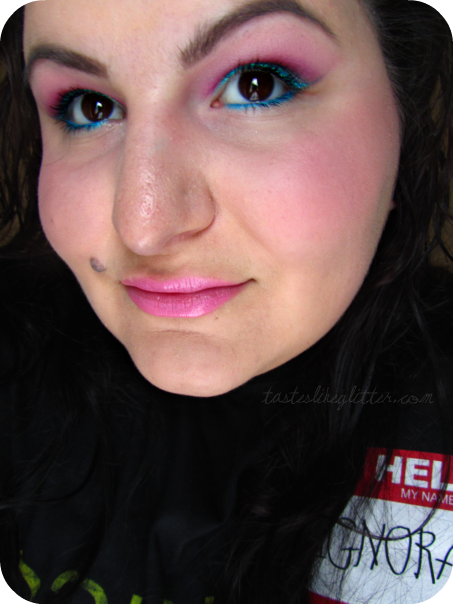 Random deep pink and blue (a shade darker than Too Dolly) from the Coastal Scents 88 Shimmer palette, just to add depth and definition. Collection 2000 Glam Crystals - Le Freak (upper lashline). Urban Decay 24/7 Pencil - Electric (lower lashline). Although they don't look at all similar, it's where I eventually pulled my inspiration from. I got a bunch of compliments and it lasted all night without sliding off!